St. Patrick’s Day is March 17, and a number of our businesses will help you make the most of this holiday. Read our list below and get some ideas for how you can celebrate this year. 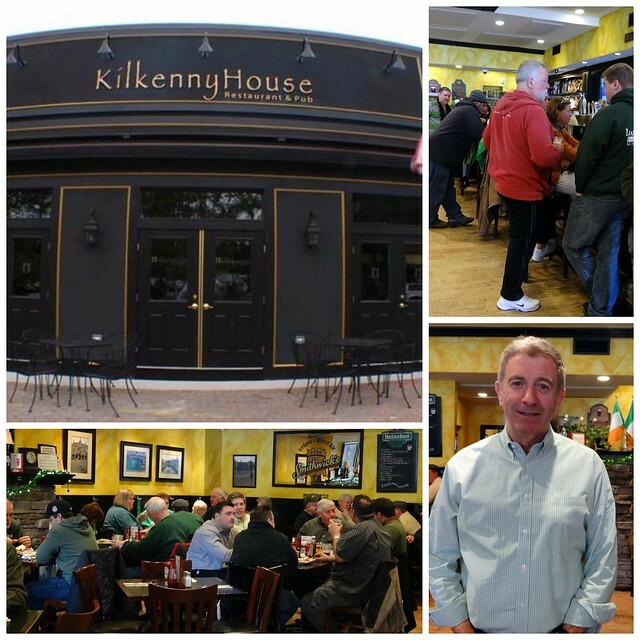 Start the celebration early with Family St. Patrick’s Day at Kilkenny House this Sunday. Seatings are at noon, 2PM and 4PM, so call now to make your reservation. On the actual day, head over to enjoy a pint of Guinness and live music. The bar opens are 10 so you can get an early start on the day! 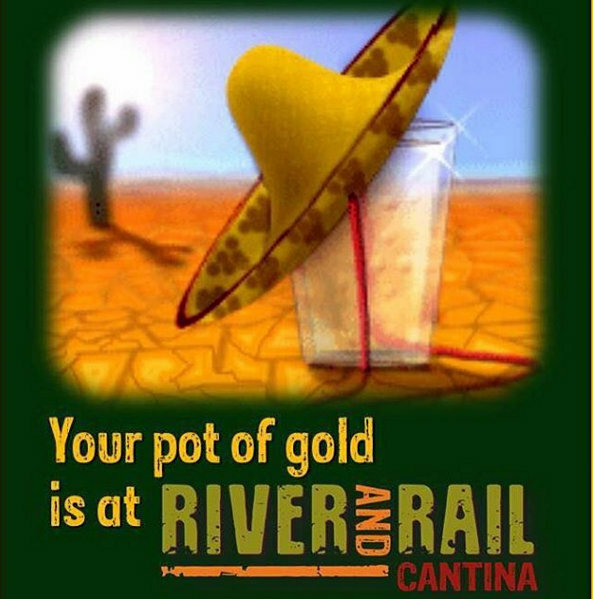 River and Rail Cantina is getting in on the fun with Corned Beef and Cabbage Fajitas, not to mention 2-for-1 Shamrock-a-ritas. How pretty are these necklaces from Hynes Jewelers? It’s March, which means the store is offering 17% off purchases (excluding repairs or special orders). 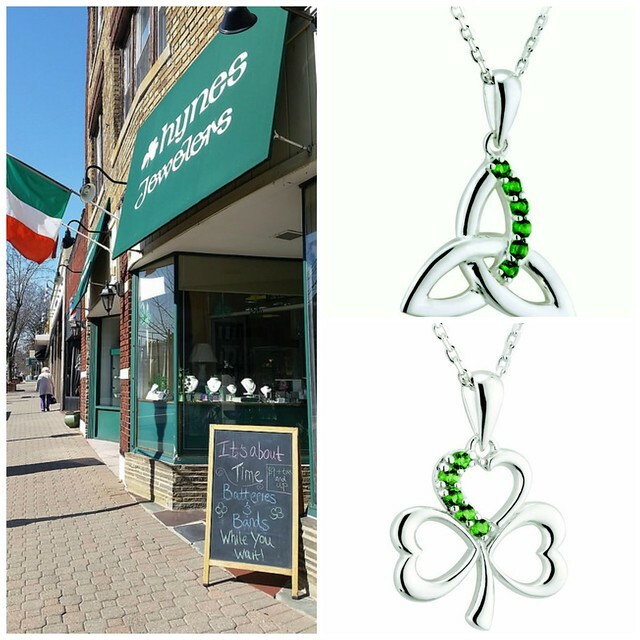 Shop their selection of jewelry and find the perfect piece to show your Irish pride this St. Patrick’s Day. 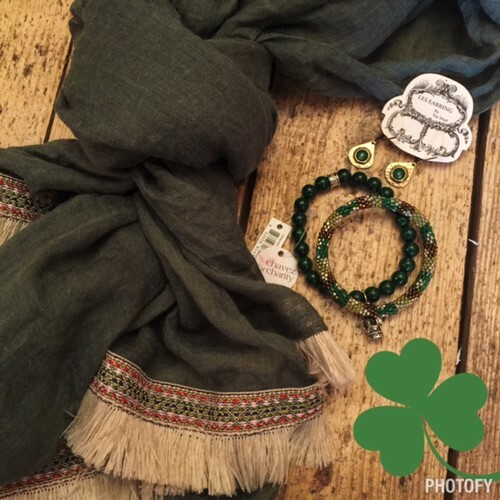 Augusta Mae has a number of accessories that would pair perfectly with an Irish-themed outfit. Scarves? Earrings? Necklaces? They have all that and more. Parties? Pub crawls? Parades? 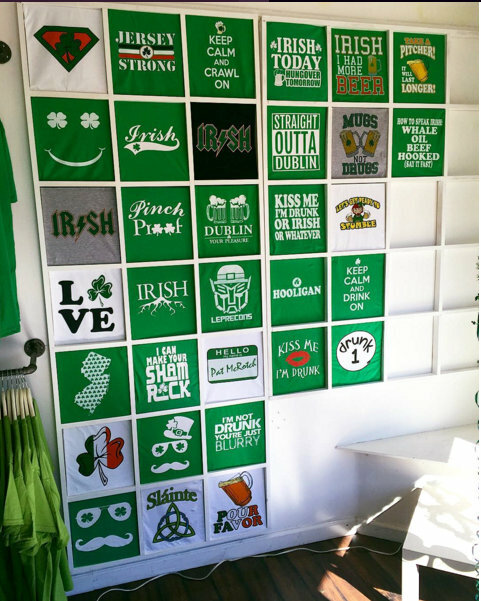 If you’re planning on attending any of these St. Patrick’s Day events then you need to stop by think d’sign print and pick up one of their themed shirts. They make them in children sizes too so the entire family can be outfitted in green for St. Patrick’s Day. Drop the kids at Fire Me Up! Studio for a night out! 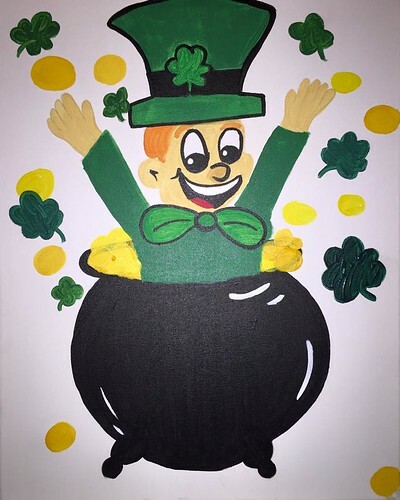 Kids will paint Patrick the Leprechaun while enjoying pizza (and you’ll enjoy a night out). Click here for more information. Irish Food Favorites – Cranford is known for its great food and a number of eateries are offering up Irish themed dishes to celebrate St. Patrick’s Day. 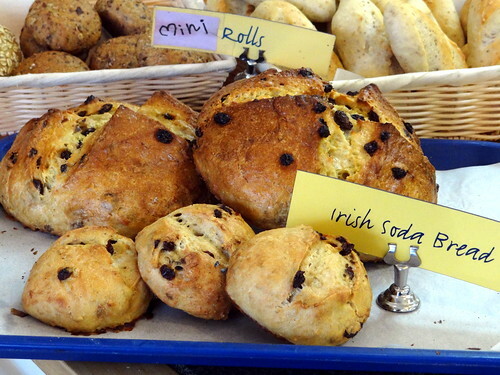 Breadsmith is selling their delicious Irish Soda Bread, perfect with a cup of tea in the morning. 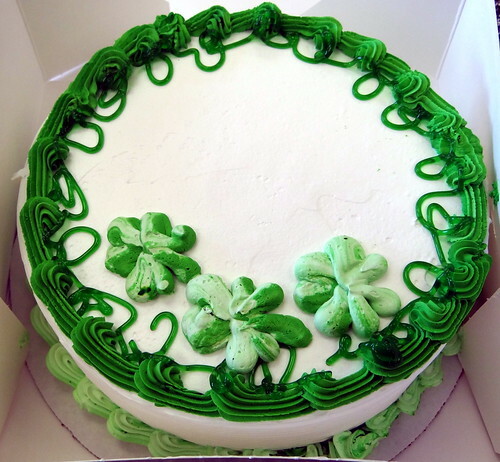 Vanilla Bean Creamery has cakes ready to go, festively decorated with shamrocks and bright green icing. Their Irish Cream flavor is available now and it’s described as a (non-alcoholic) version of an Irish coffee with a cream swirl and hint of Bailey’s flavoring. 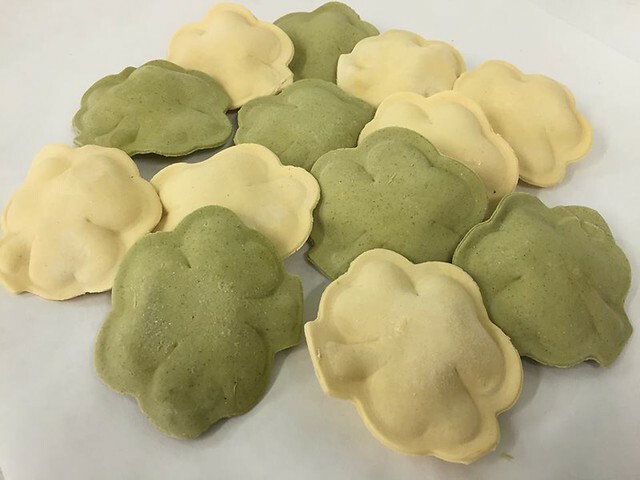 Delicious and festive – that perfectly describes these shamrock-shaped raviolis from Perrotti’s! Cake Artist Cafe always offers up holiday themed cakes, cookies, cupcakes and more. 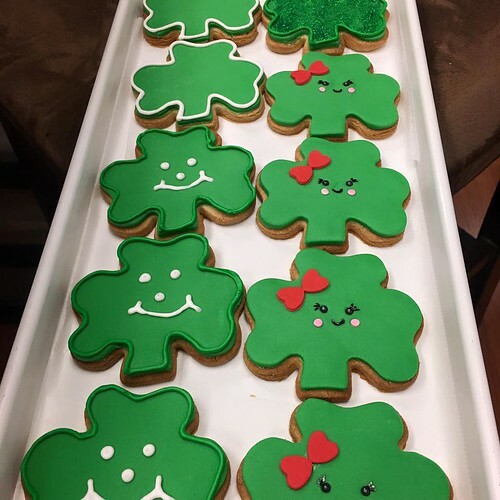 These shamrock cookies are almost too adorable to eat. 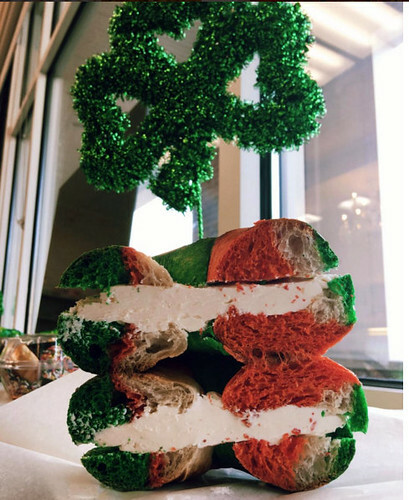 St. Patrick’s Day bagels anyone? You can pick these up, along with a variety of other baked foods, at Alfonso’s Pastry Shoppe. How are you planning to celebrate St. Patrick’s Day in Downtown Cranford?